ENABLE Scotland has a CEO, Executive Team and Board of Trustees who are responsible for ensuring that we always act in the best interests of our members and the people we support. The CEO and Executive Team work together with the Board of Trustees to make sure the best strategies and policies are implemented to run ENABLE Scotland efficiently and effectively. 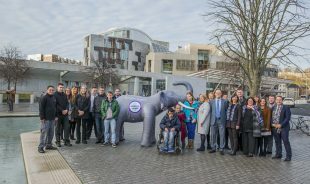 By being a well-run organisation, we are able to continue our work for an equal society for every person who has a learning disability, and to reach many more individuals and families across Scotland who need our support.